Harley-Davidson India has issued a recall for all Street 750 and Street Rod 750 motorcycles that were manufactured from 2016 onwards. The company has cited faulty brake calipers as the reason behind the recall, which is on a global scale. As many as 43,908 units of the Street family have been affected. In India, Harley-Davidson dealerships have begun contacting owners of the affected motorcycles and replacement brake calipers are being fitted, free of cost. The brakes are said to be dragging due to corrosion of the caliper piston bores. This could lead to sudden deceleration or in a worse case, jammed brakes which could lead to a crash. As of now, Harley-Davidson officials have not stated the exact number of bikes that were part of the issue in India. 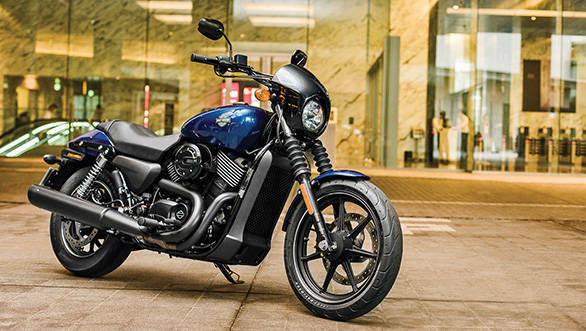 Given the fact that both, the Street 750 and the Street Rod 750 are among the best selling Harley motorcycles, the company could be looking at a big number. This is not the first time that the Street 750 has been recalled. Back in 2015, the bike was recalled to fix a faulty seal in the fuel pump. The Harley-Davidson Street 750 and the Street Rod 750 are powered by a 749cc, liquid-cooled, V- twin motor that produces 62Nm of torque. These models sit at the entry level in Harley-Davidson's expansive product portfolio.